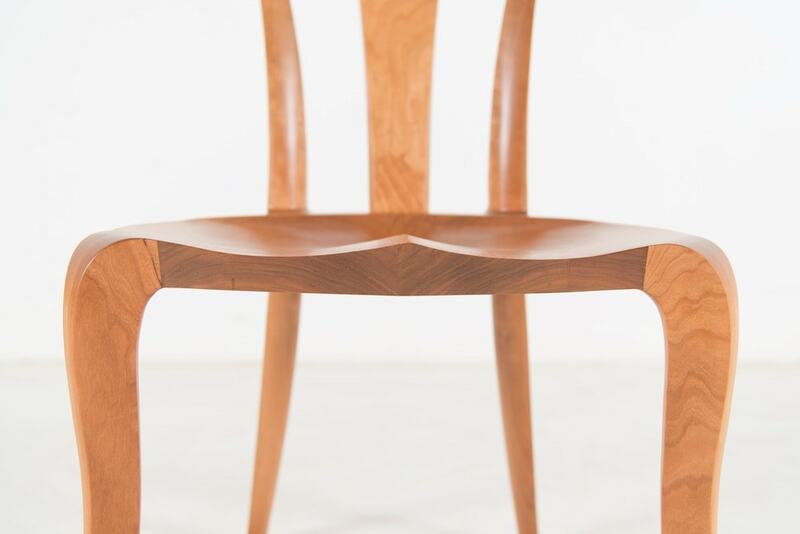 There are few straight lines found in the Pasadena Side Chair with Back– and that’s by design. 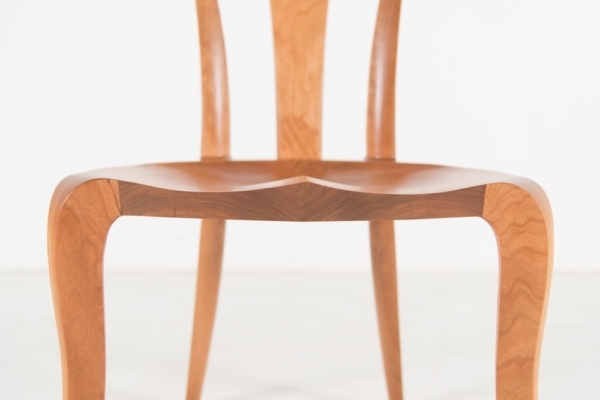 In fact, the chair’s only flat plane is where the seat and back meet for reinforcement. 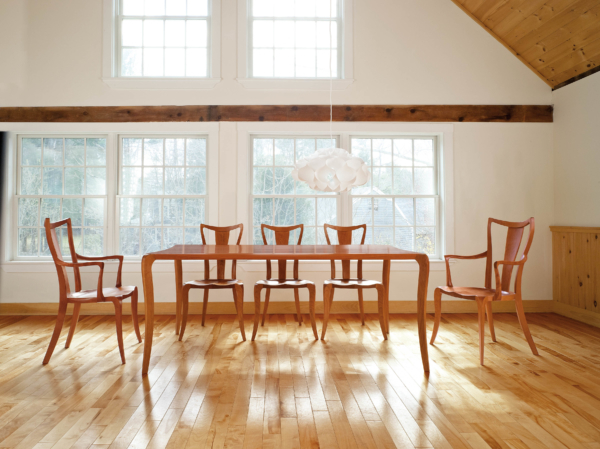 The Pasadena tells a story of captured movement, with flowing curves marking the legs, back, and top rail, all coalescing in a piece of furniture that straddles the line between art and utility. 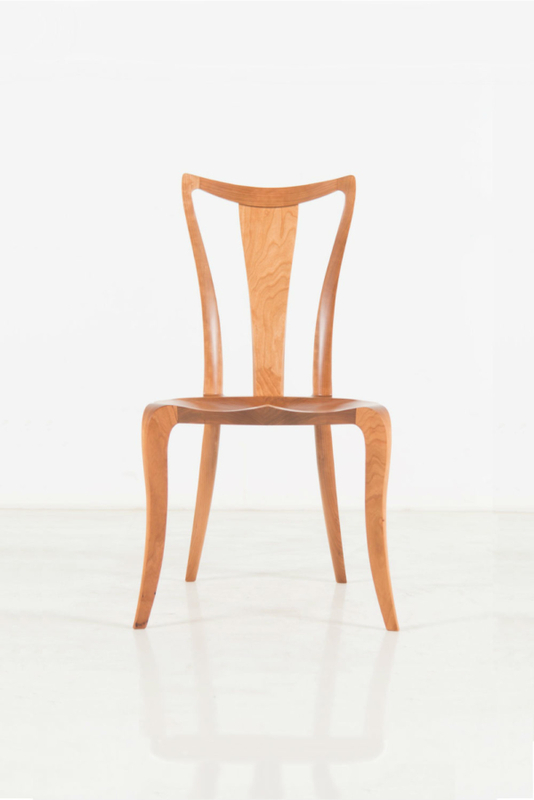 With its modern, geometric hourglass shape, the Pasadena Side Chair with Back takes its cue from the Pasadena Dining Table, which is in itself a study in static fluidity. 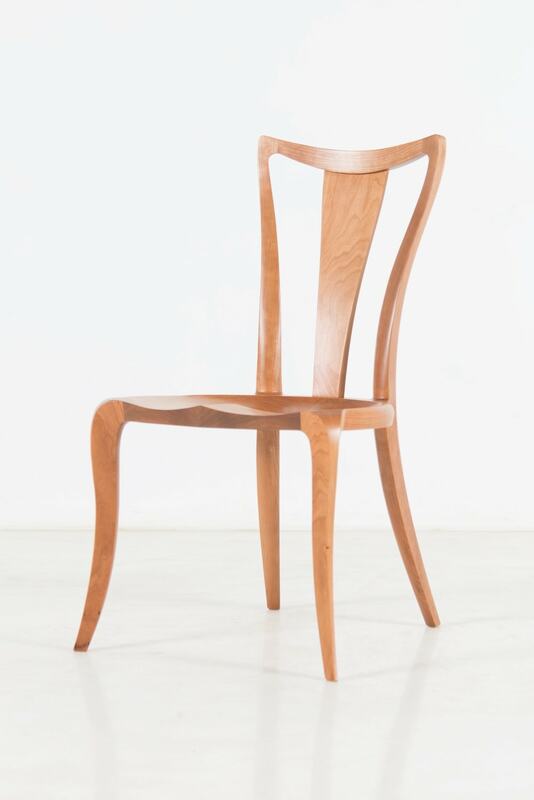 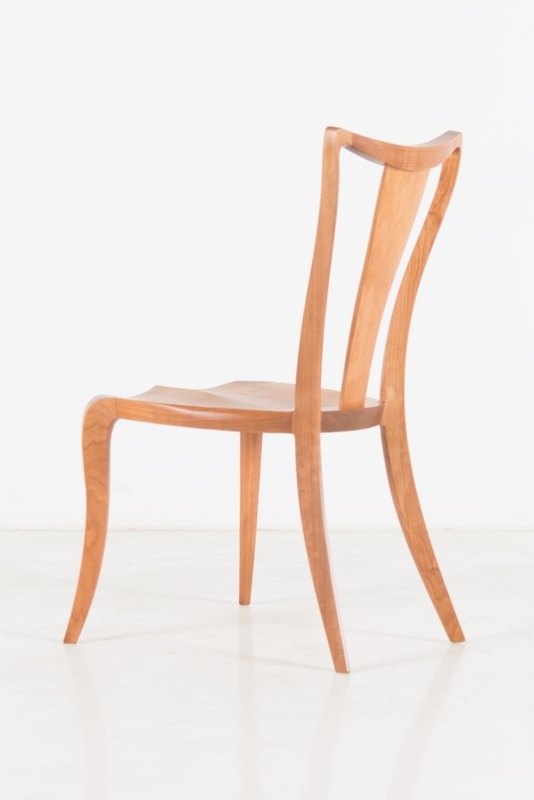 Crafted in hand-sculpted American hardwood, the chair appears to be more carved than assembled. 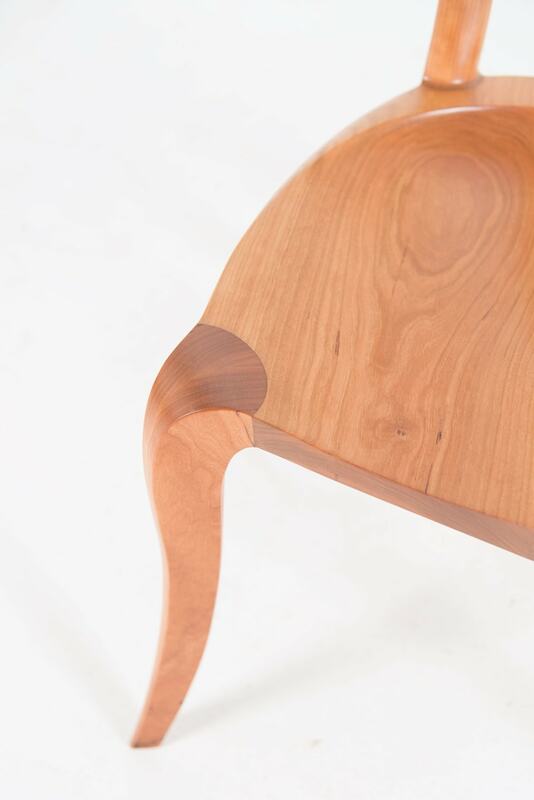 Its shapely legs are faceted and splayed to provide stability without bulk. 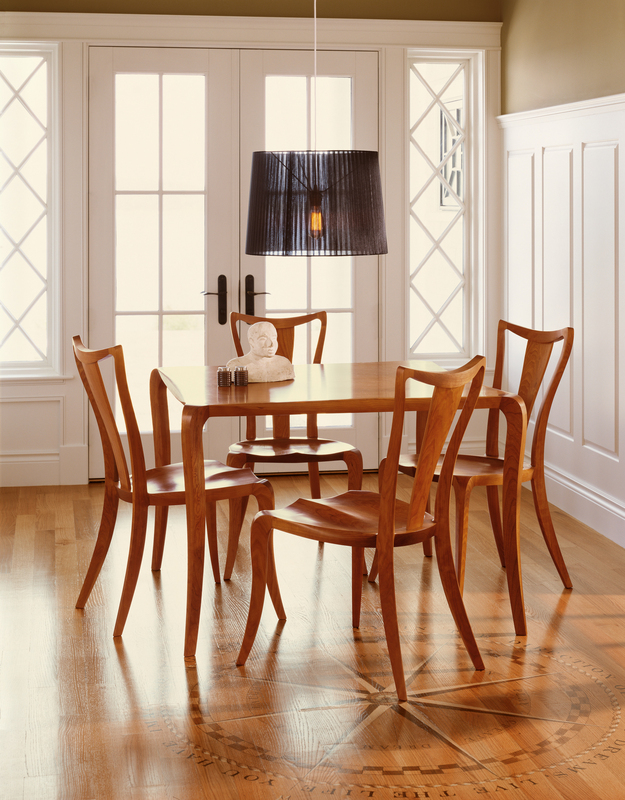 The seats are wide and as comfortable as any solid wood dining chair could be without upholstery. 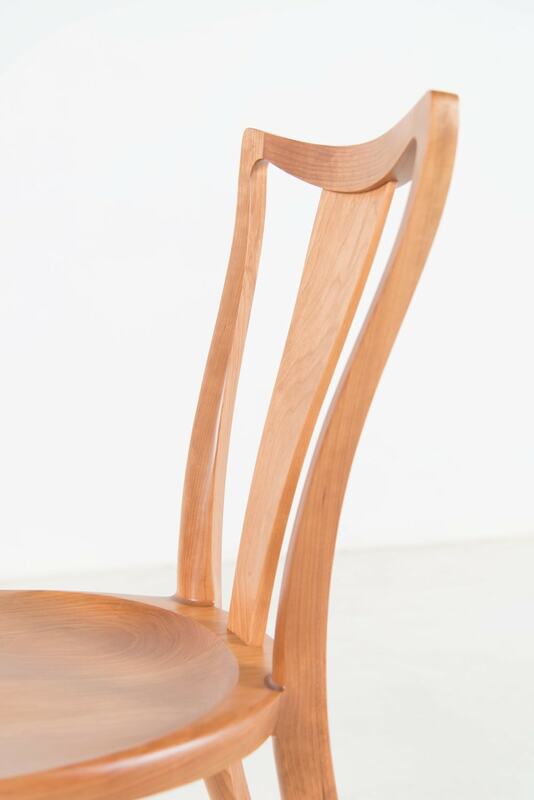 The slender outlines defining the back and top rail scroll up from a strong foundation, divided by a central back splat to support its broad profile. The hidden joinery in the arm of the chair gives the sense that they weren’t crafted, but grown, providing smooth, seamless and integral support for the user.